People are fond of genetically modified people. 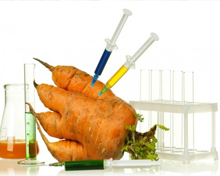 The issue of genetically modified foods is matter of hot debate in today's society. Many international companies are involved in risky experiment to introduce great numbers of genetically engineered foods broadly into market's food supply. It has been observed that that marketable intention are taking priority with minor concern to the probable dangers for developing genetically modified foods. These foods could cause severe damage to health and the atmosphere. Genetically modified foods are readily available in markets includes tomatoes, squash, yeast, corn, potatoes, and soybeans. Genetic modifications are completely dissimilar from those foods which are obtained from established methods of breeding. Due to curiosity and new invention, the trade of these foods is being allowable without proper evaluation of the risks and without sufficiently informing the public. Supporters claim that these modified foods are quite similar to existing foods in their basic properties and pose no particular risks. But this postulation is incorrect. Only few genetically modified food materials have achieved full authorization and are in marketable use. These are cheese produced with genetically modified chymosin, tomato paste from slow softening tomatoes, and genetically modified soya and maize. 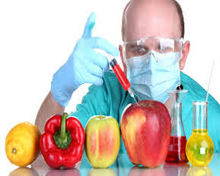 Genetically modified food has vast damaging effects on health that can not be avoidable. One of the primary health problems with these foods is its potential to increase allergies and anaphylaxis in humans eating unlabeled GM foodstuffs. In recent report, it is indicated that all genetically modified foods were dangerous; subsequently it became clear that the findings related not only to genetically modified potatoes at all but to potato material to which concanavalin A (a lectin and known toxin) had been added. Some experts say that to protect health of human as well as animal, genetic food must be banned until it is scientifically demonstrated to be harmless and safe for everyone. 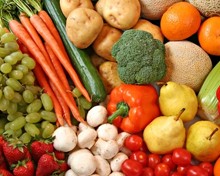 It is highly recommended to buy organic foods which are produced according to definite production standards. Some promoter claim that limited data is available on the potential health risks of genetically modified food crops, even though these should have been tested for and eradicated before their introduction. But dangerous consequences are prevalent among people. These foods are well liked by children, teenagers and adults. People generally consume these foods different types of parties and when they go for outing in vacation. Theses foods are quite cheep as compared to natural food. It is advisable by professionals that considering health factor is concerned; people must not compromise with engineering of genetically modified foods.